Nectar from the establishment was increased by a million euro gross value added! 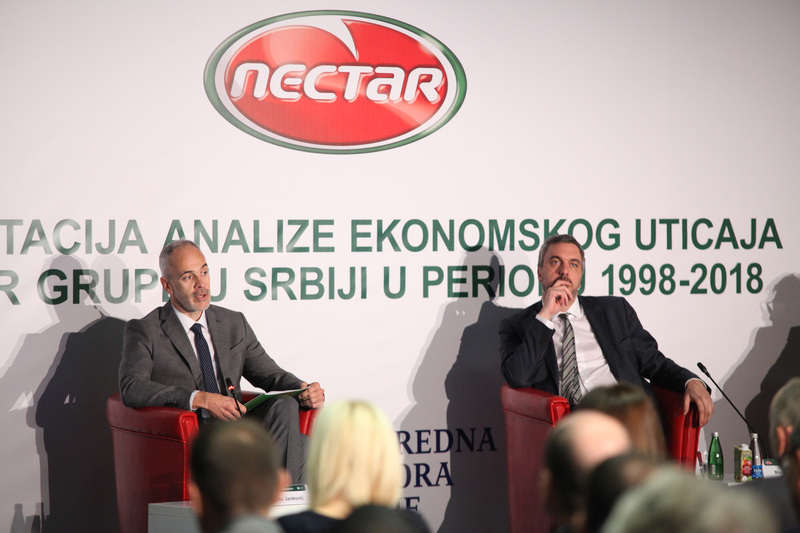 In the twenty years of its operations, Nectar generated over 1 billion euros of gross value added (about 3% of GDP in Serbia in 2017), in the value system in which the company’s activities support over 5,500 employees in the Republic of Serbia – the main is a message from the presentation of the findings of the “Analysis of the Economic Impact of the Nectar Group in Serbia in the period 1998-2018” on the occasion of marking 20 years of business that was held in the premises of the Serbian Chamber of Commerce, in the presence of representatives of the state, economy, media and business partners. Nectar wished to see the road that had been overtaken for twenty years, hired consulting firms Peterhof Consulting, led by Dragan Loncar, professor at the Faculty of Economics in Belgrade and Alba Partners. Based on a specially developed methodology, a company was analyzed from the aspect of the gross value added created by its operations in the system with suppliers and customers, which remained in Serbia. With gratitude to Nectar, which decided to present its success story in the Serbian Chamber of Commerce in the Serbian Chamber of Commerce, Marko Čadež, the president of the PKS assessed that the Radun family and their company is proof that Serbia has the best examples for the textbooks of a successful family business. “Nectar is an example of how entrepreneurs, valued and bold people, innovative and open to the knowledge and innovations of others, can overcome the greatest challenges that family business faces, recognize and exploit business opportunities in both the domestic and international markets and from good entrepreneurial ideas and small firms build a successful, big company – a regional leader in their field. 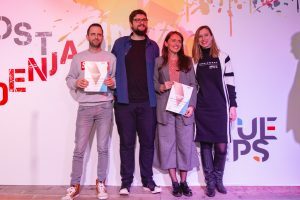 According to Čadež, Nectar also confirms that today we have business systems capable of producing the best quality products, to build brands that in the dozens of markets in the world manage to fight with the strongest competition and who are seriously investing both at home and abroad. And what is, for the future of our economy, the most important thing, to have business people who think strategically of companies with a vision, who know how to develop their business and how it will look in the next 20 years. “If I tell you that every sixth apple remaining in Serbia ends up with Nectar products, you will understand how far we have gone from registering a family business, with the idea to deal with the production of healthy food, to the company that is the eighth strongest brand in the region, said Mihailo Jankovic , director of Nectar. 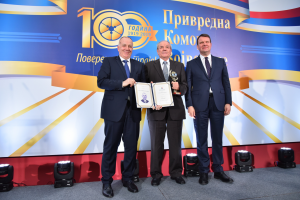 “For the past 20 years, the company generated over one billion euros of gross value added in Serbia and the only domestic, family company, 100% owned by the family, which with its consolidated revenues is on the list of 100 most successful companies in Serbia according to the APR data, and why we are very proud. ” The company also presented its vision by 2038, which it wants to receive with 500 million euros of revenue, and then to be not only a regional leader, but also an important global participant in the healthy food market. “If the visionary plans of Nectara are realized by 2038, the company will realize over 5 billion euros of gross value added that will remain in Serbia,” said Professor Loncar at the end of the meeting.